The theory of the hub centered front end is that, unlike forks, braking forces are kept away from the front suspension, leaving it free to deal with bumps in the road. The reality of the Bimota Tesi 3D is that there’s very little ‘feel’ from the front end, which can rob the rider of the confidence to push hard into corners and generate corner speed. The seating position is ridiculously cramped and too far forward. There’s a fine line between Ducati’s air-cooled, twin spark 1072cc V-twin motor being fun or disappointing depending on what motorcycle it’s slotted into. In the lightweight DB6 Delirio or Ducati Hypermotard it’s a little gem and you’re left never wanting more. In the heavier Multistrada, DB5 and this Bimota Tesi 3D it just hasn’t got the oomph to make you smile. 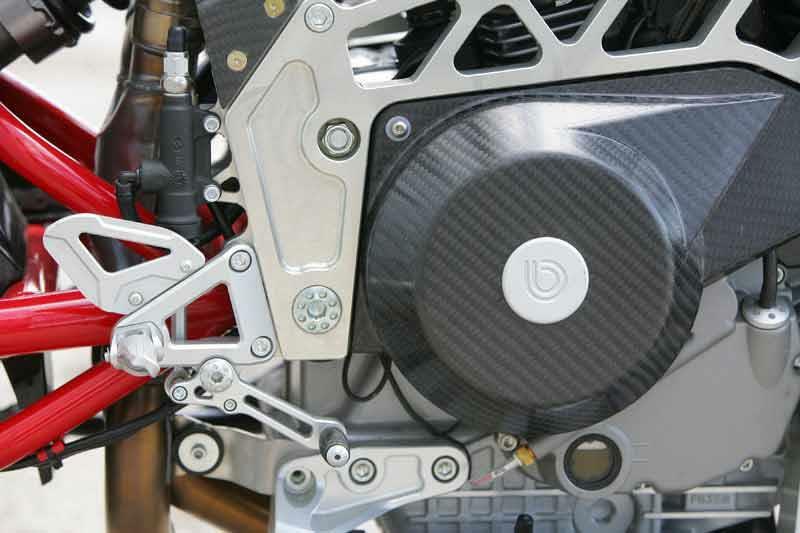 The Bimota Tesi 3D desperately needs a more powerful motor. 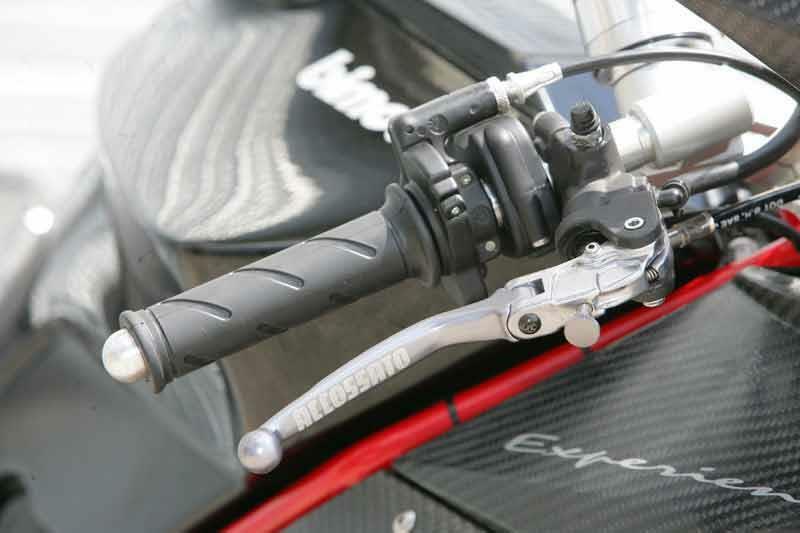 If the front suspension system is open to debate the quality of the Bimota Tesi 3D certainly isn’t, it’s quite simply stunning to behold. As a piece of motorcycling art it’s worth every penny if you’ve got the dosh. 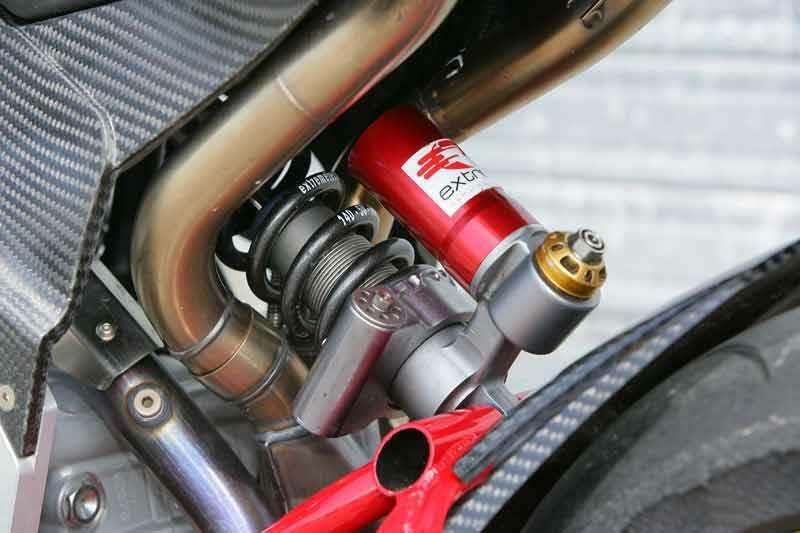 Engine-wise the Ducati unit is very simple and is tried and tested in the Multistrada and Hypermotard, so there shouldn’t be any problems with reliability. The Bimota Tesi 3D isn’t supposed to be a sign of things to come from the newly resurrected Bimota factory, it’s more a project to show off what the talented engineers there can do when their imagination is allowed to run wild. The DB5 and DB6 Delirio are the Bimotas of the future and they are very good; the Bimota Tesi 3D on the other hand is an oddity and only worth it if you really, really have to have one. Find a Bimota Tesi 3D for sale. As you’d expect from the price tag, the Bimota Tesi 3D has been put together by hand using only the finest materials and cycle parts. 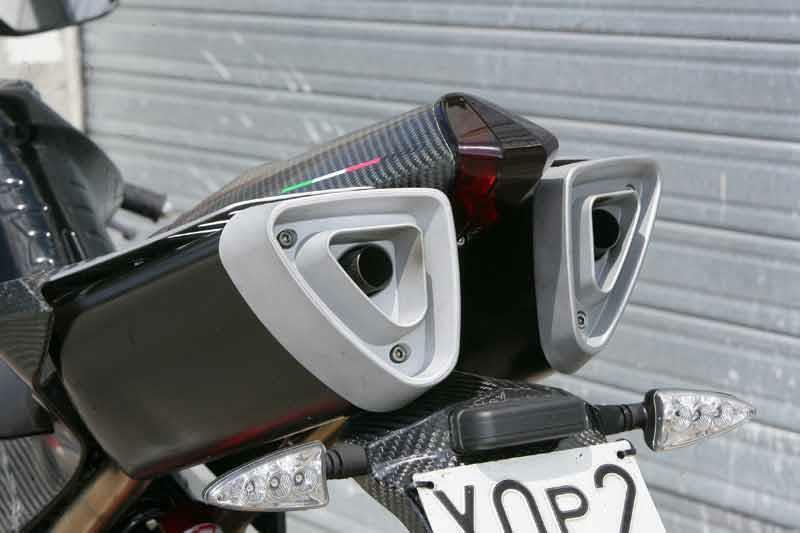 The small fairing, load-bearing seat unit and most of the bodywork is from carbon fibre and Bimota’s trademark milled billet aluminium plates adorn the Bimota Tesi 3D everywhere. 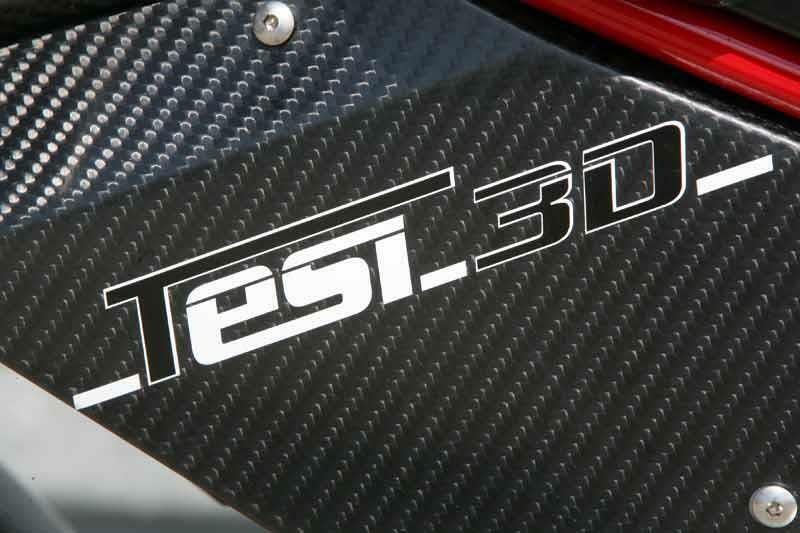 Compare and buy parts for the Tesi 3D in the MCN Shop. 1992 - Bimota Tesi 1D launched featuring the motor from the Ducati 851 superbike. 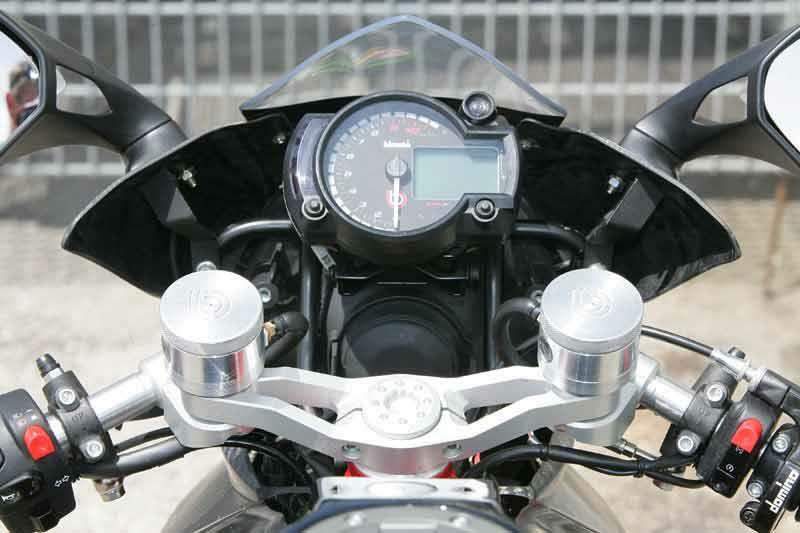 2005 – Bimota Tesi 2D appears powered by the air-cooled Ducati Multistrada 1000DS engine. 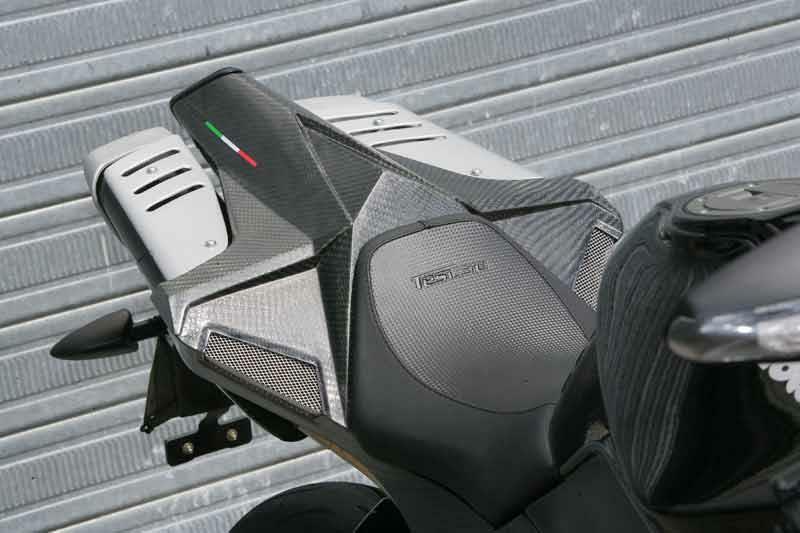 2007 – Bimota Tesi 3D introduced. 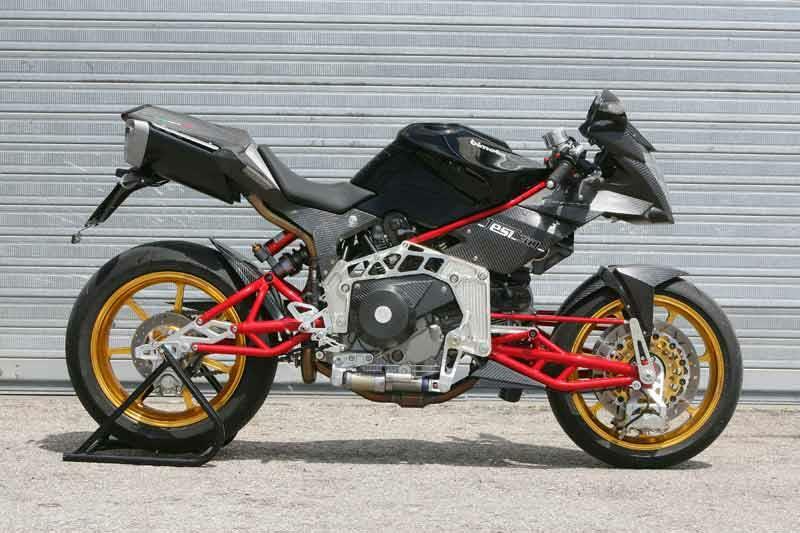 No owners have yet reviewed the BIMOTA TESI 3D (2007-on).